Valda (my South African mom) invited me to go to Hogsback for a weekend getaway with her family. Since I had been working so hard (surfing, safaris, and such), I decided it would be a great opportunity to get away from the stress of my research project. Even though the three hour drive from East London seemed to take forever, I had my eager face on the entire way. I was so excited to go hiking and enjoy another amazing part of South Africa. 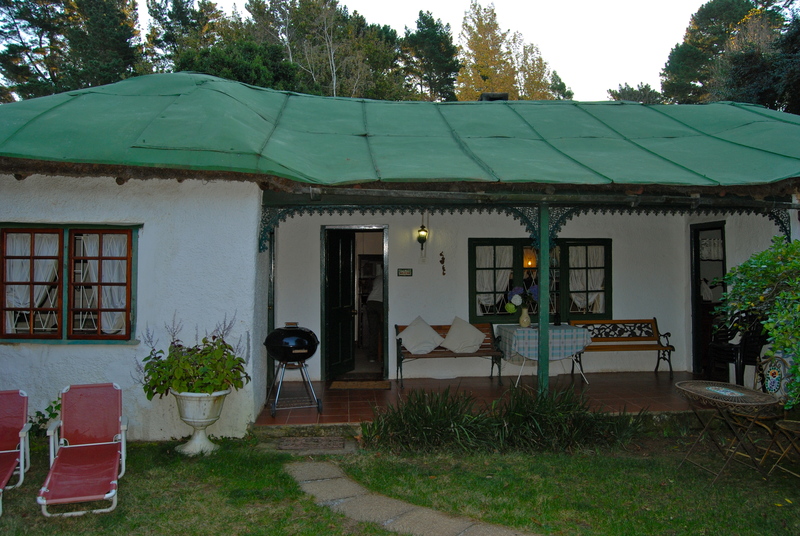 When we arrived, I was caught off guard by the fact that we were staying in an authentic cottage in the forest. I thought we were just going to stay at a random bed and breakfast. The cottage reminded me of something out of Oregon Trail. 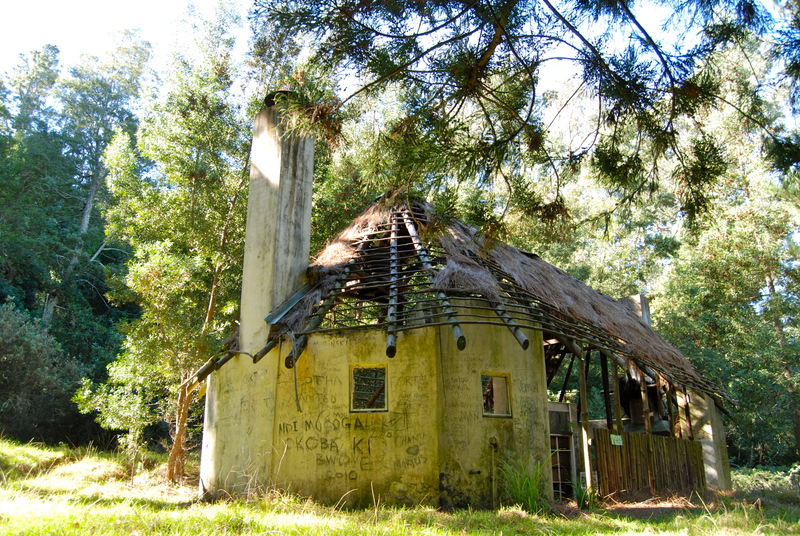 It had a covered straw roof, big wooden beams, and an old school bathtub. That night my manhood was tested when everyone asked me to make a fire. As expected, I passed! To celebrate my coming into manhood, I had a big hot cup of Milo, the greatest drink in the world. 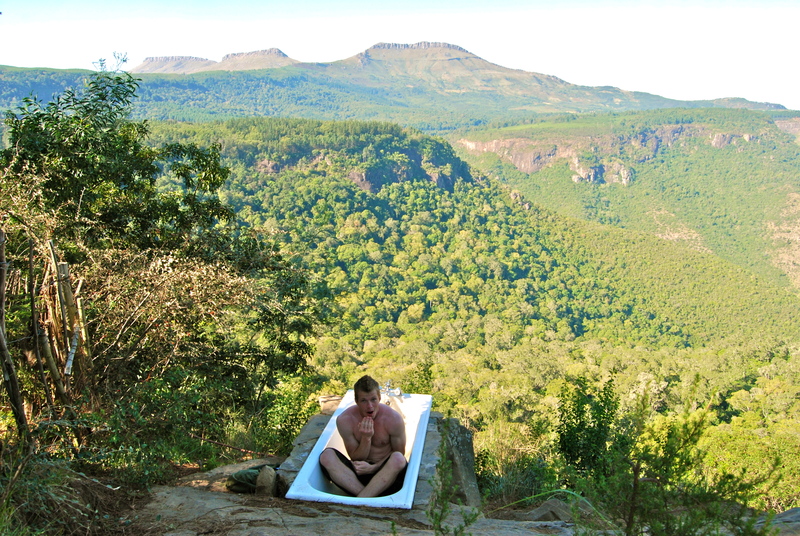 Hogsback is an amazing place to go hiking. It offers excellent trails through the forest and incredible mountain vistas. During my hike, I weaved my way in a thick forest, took a cold shower under a waterfall, crawled under and over fallen trees, crossed a river, climbed a vine, got covered in spiderwebs, and sat in a bathtub at the edge of a mountain. Now that’s what I call a successful trip. Not surprisingly I got lost during my hike. I am going to blame it on the fact that some of the trails were not clearly marked, and not on my horrific sense of direction. It only took me 30 minutes of hiking in the wrong direction for me to realize that I needed to turn around (talk about an awesome sense of direction). Even though it took me an hour longer than it should have, the view at the top of the mountain was worth all of the sweat (and trust me, there was a lot). 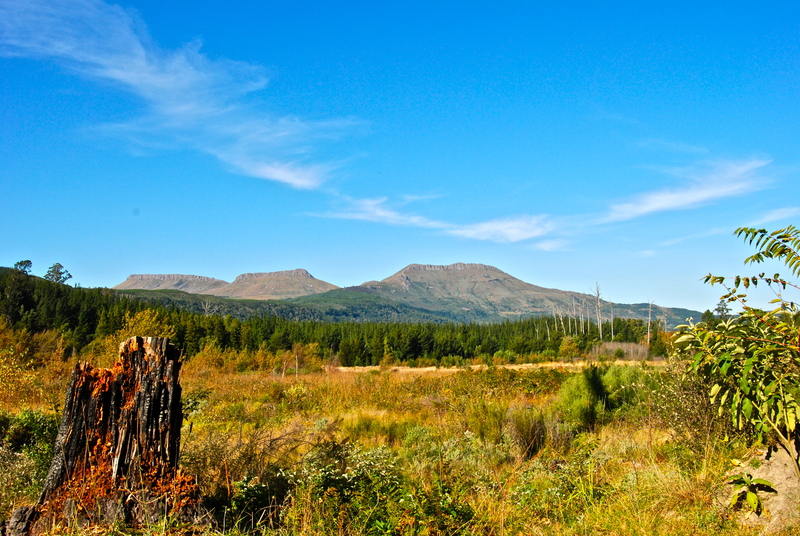 I spent a long time enjoying the view of the three mountains known as Hogsback. This will come as a surprise, but they are called Hogsback because each mountain resembles the back of a hog. From the top of the mountain I could see forests, lakes, and villages situated on the surrounding mountain sides. The best part of the whole experience was being alone in nature. There is something about nature that has always helped me reconnect with my true self. I am able to think clearly and feel at peace. With no distractions, I could truly connect with South Africa and enjoy the beauty she has to offer. People’s pessimistic view of South Africa because of crime, poverty, and pollution disappeared. I saw nothing but beauty, and felt nothing but love for the country. For this reason, the outdoors has always appealed to me. Where is your favorite place to get away from it all? 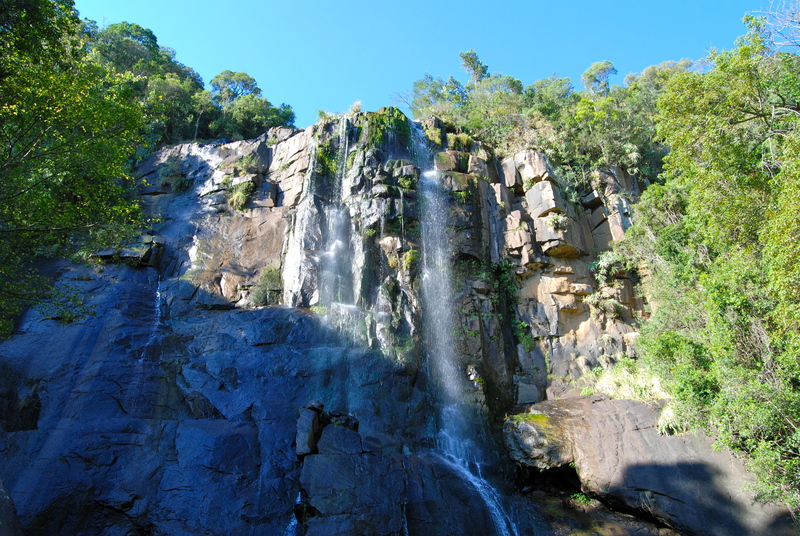 Hogsback truly is an amazing place and paradise for the nature lovers. You can rejuvenate your soul, relax in the peace and tranquility of the forests and enjoy the cascading streams and waterfalls. A hogsback is a geological rock formation looking like the bristles on a hog’s back. This can be another possibility for the name Hogsback. looks nice.Finally starting to post our Egypt pictures- guess you can imagine we got in on all the excitement during the riots, etc. What was the name of the cottage you stayed in, do you have the contact details for it? I do not know the name of the cottage off the top of my head. Let me ask my friend and see if she can get me the contact details. The name of the cottage was Back o’ the moon. They have a website http://backofthemoon.hogsback.co.za/. I had a lot of fun hiking there. Hope you enjoy it!